Our Rental Fleet .... Brand New 2019's Are Ready To Reserve. All 2019 and 2018 units are in stock and we will be posting photos soon. Make an appointment to come out and see the latest in what we offer. 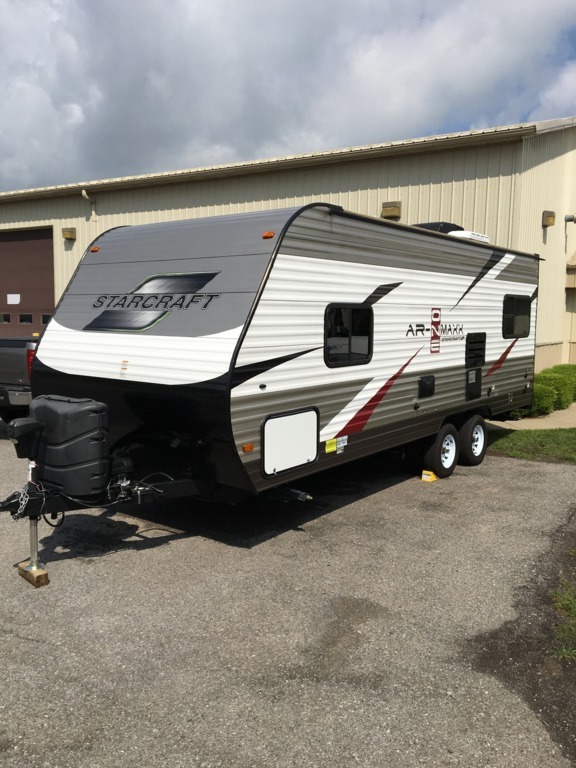 We also have added four 2018 Starcraft travel trailers . A 19BHS Launch Ultra Light, 26 BHS Launch Lite, 26 BHS AR One Maxx and a 17' Comet Mini . All these can be seen on the manufacturers web site until they arrive on our lot. 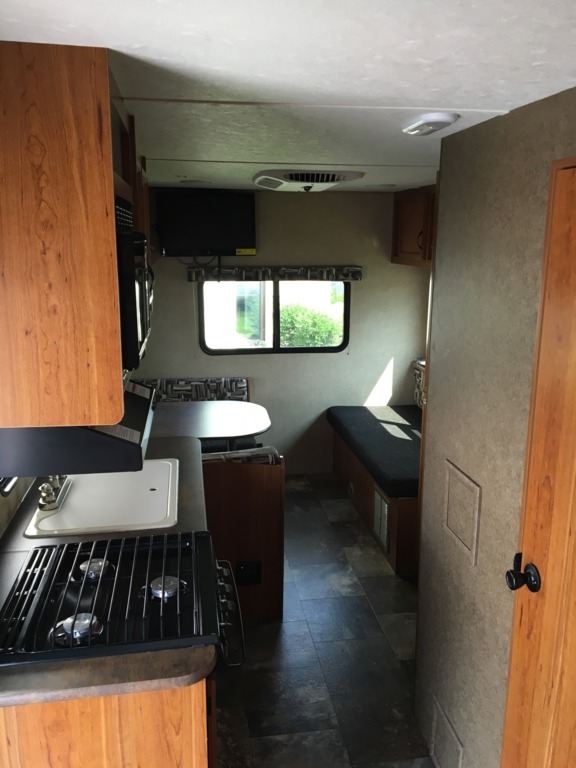 Be the first to rent a brand new motor home or travel trailer for your next vacation. No disapointments with EZ Camp. 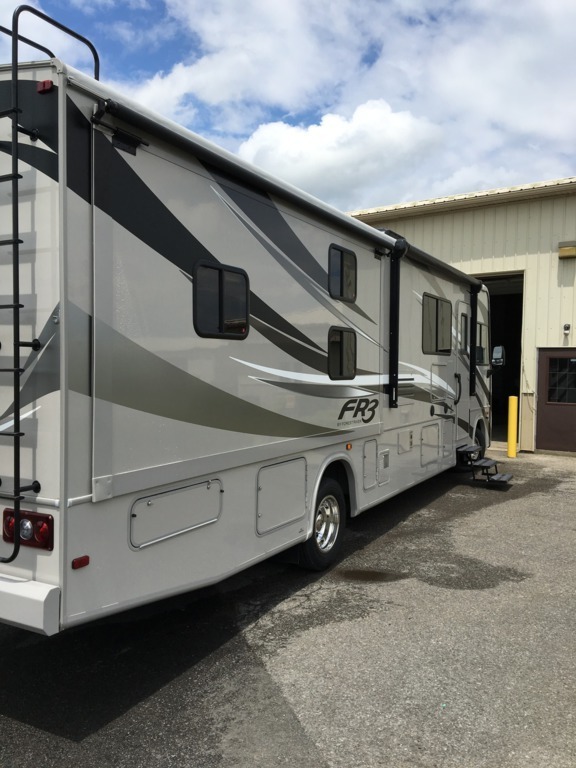 Clean,quality, " NEW" recreational vehicles and friendly people to deal with. EZ Camp RV Rentals ...WNY's Newest Fleet . 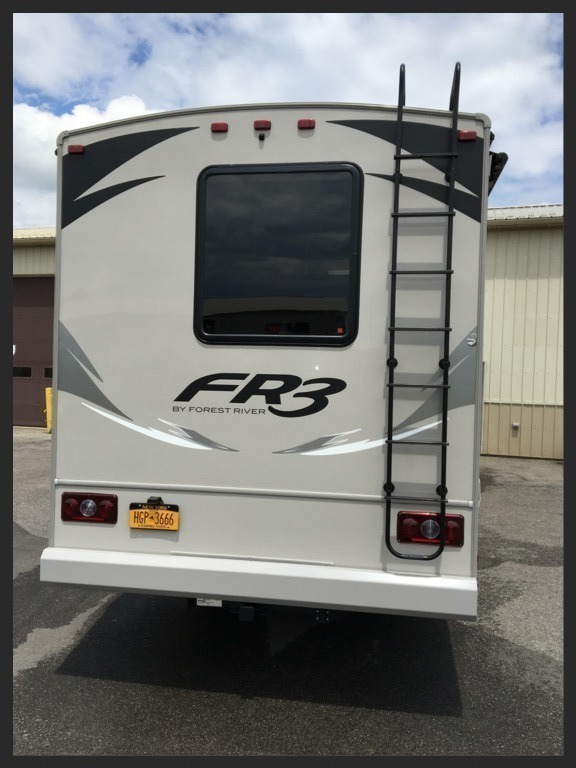 2017 Forest River FR3 .. 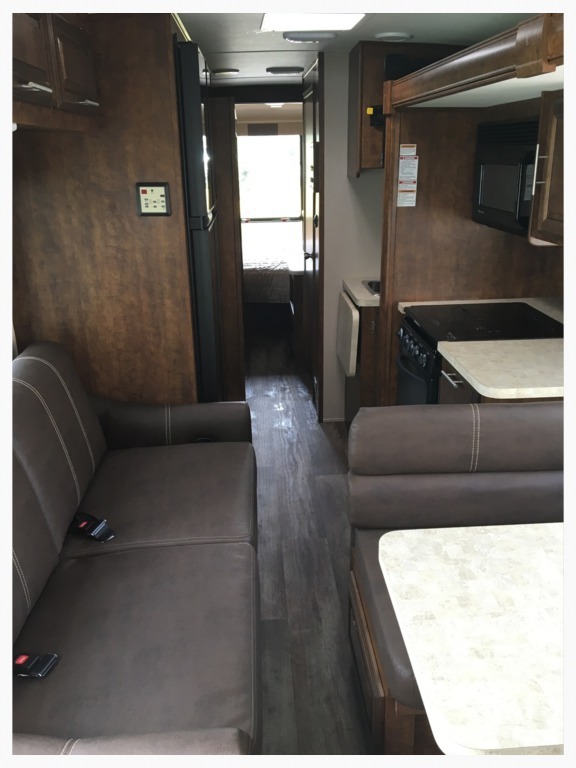 This 32 foot Class A motor home is pure luxury. Complete with two airconditioners, 6000 watt generator, double refrigerator, outside entertainment, three inside televisions , soft leather furniture and much more. Book this one for a vacation to rembember. Thor Windsport 32N.... This one sleeps 6 people, loaded with amenities and an outside kitchen. The full wall slide out makes this a very roomy motor home. Rent or buy this Windsport . 2017 Class C 31 ft. bunk floor plan. 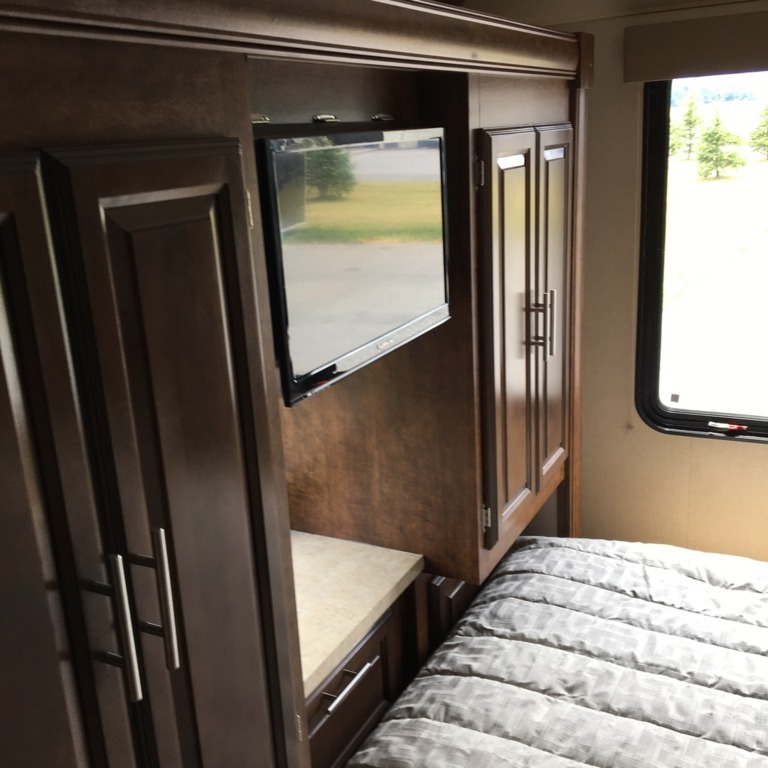 HD Max exterior,beautiful bedroom with t.v., sleeping for eight, power awning and all the comforts of home. It's currently " For Sale " so come out and make an offer. 2018 Four Winds 29G..... This one is just a great floor plan providing room for 6 people. The unit has two slide outs, bedroom t.v., living room t.v., outside t.v. , nice size bedroom, tons of storage and an outside kitchen. Wether your camping or tailgating this is the one you want to take . This 2019 Four Winds 28Z is probably our most rented unit. It's a good size for most families and has all the comforts of home. One slide out makes the living area roomy, two t.v. 's, tons of storage and more. Reasonably priced to rent or purchase. 2018 Four Winds 23U . Perfect choice for two people or a small family. Easy to drive and maneuver in tight locations. 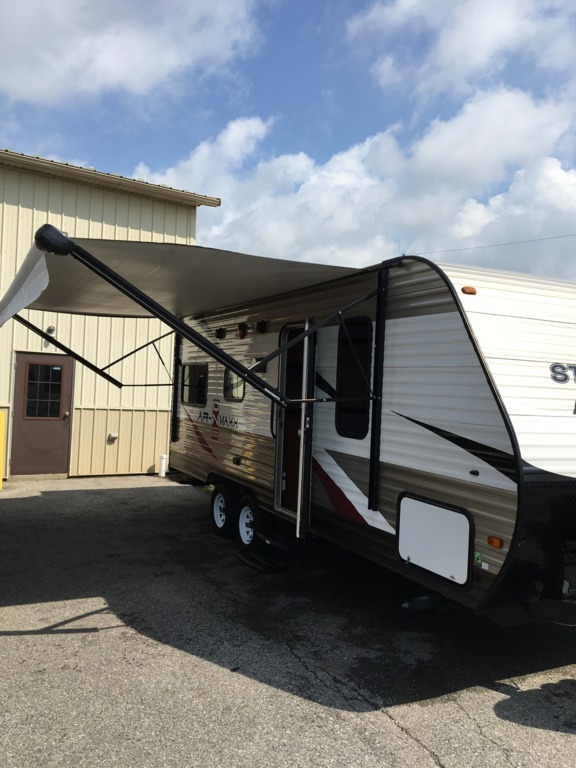 Complete with power awning, generator, convection micro wave and more. At EZ Camp we have a large selection of travel trailers. The inventory changes often so give us a call to see what is available. We have trailers that are not shown with sizes from 26' to 38'. 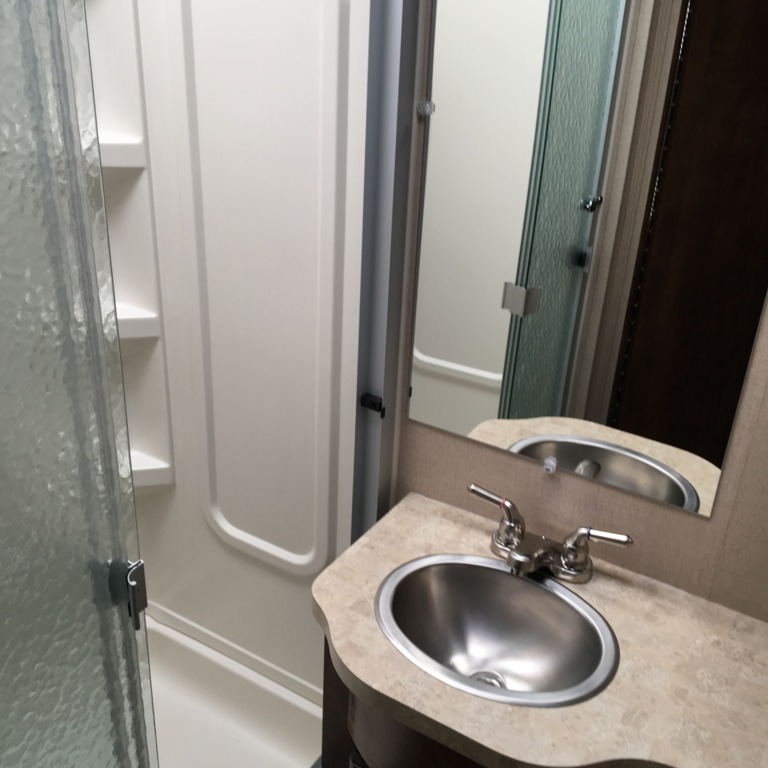 As always you will get a new ,clean trailer for your next vacation. This season we added three 2019 Autumn Ridge Outfitters. At 26 feet they are a great size trailer for most families. A large slide out and double bunks allows for plenty of space. Front queen bed and a t.v. make the 26BHS a very comfortable camper and it is half ton towable. 2019 Autumn Ridge 21 FB. This one is simple to use and loaded with everthing the large trailers have. No slides but roomy for two people or a small family. Easy to tow and easy on the price. This Launch 19 BHS was so popular last seson we replaced it with a new one this year. Perfect size for a small family and easy to tow. 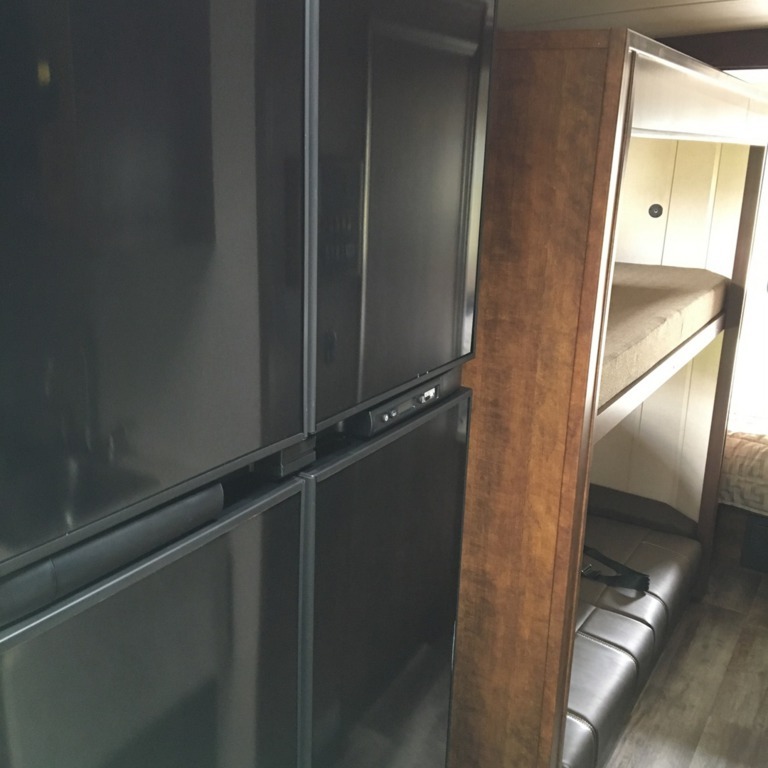 The kids will love the front bunk and with a queen sliding bed this one opens up to 24'. Check it out for your next adventure. 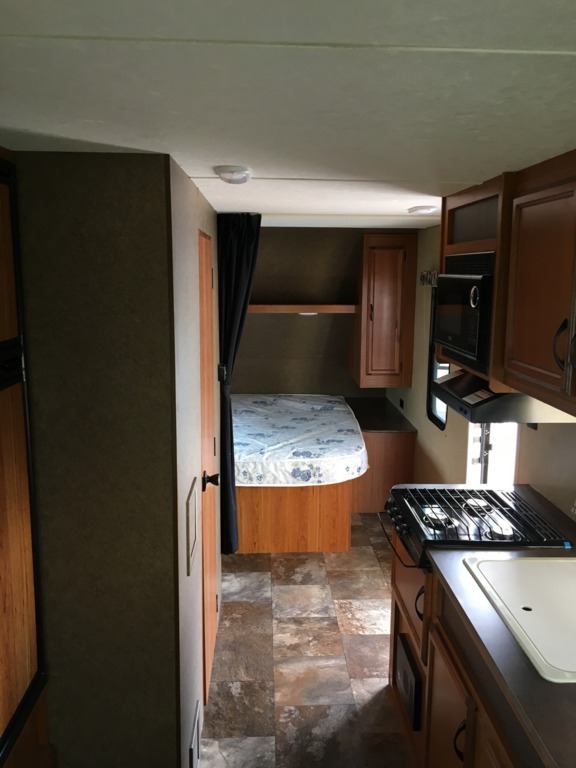 No more pop up's ...This 17' Comet is much more comfortable with a shower, air conditioning, micro wave, power awning , U dinette and a nice bed. It is very light for towing and a great size for two or three people. Trailers and Fifth Wheels In Stock . We have a selection of other trailers available at various times. 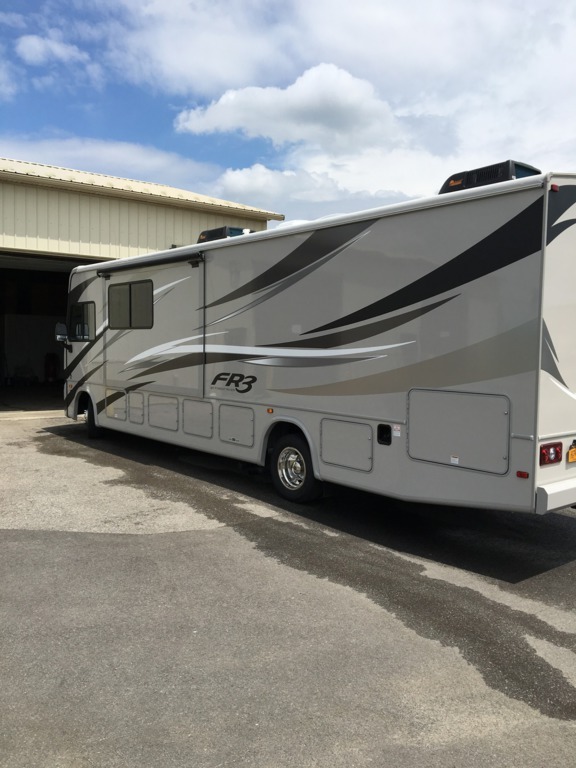 Call for more information on our current inventory of trailers and fifth wheels for "Rent or For Sale ". We have a camper for everyones budget .